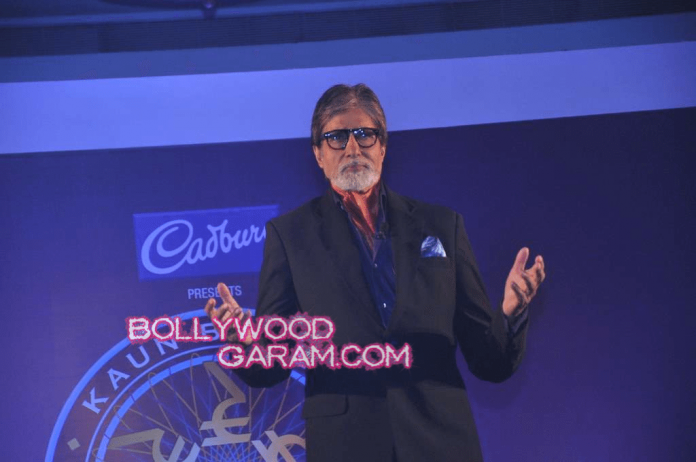 BollywoodGaram.com: Bollywood superstar Amitabh Bachchan launched the much-awaited seventh season of the popular game show ‘Kaun Banega Crorepati’ during a press conference on August 29, 2013 in Mumbai. The ‘Black’ actor greeted his fans and the media in his Indian style. As it was reported earlier, this season will be bigger and better, with a Rs. 7 crore jackpot and participants will have to face 15 questions. The new feature which is known as ‘Sapta koti sandook’ will have four questions and contestants will be able to win Rs. 1 crore to Rs. 3 crore, Rs. 5 crore and finally Rs. 7 crore. Even the ‘Fastest finger first’ round to reach the hot seat has been modified and it will now be called ‘Best Out of Three’.